Item received but not yet tried. Hoping it'd be as good as the reviews posted by other buyers. Not Recommend written by mobile The bread maker doesn’t knead. I read the reviews before buying the breadmaker and I believe it will work well. I am impressed with the fast delivery; I placed my order this morning and I received the breadmaker in the evening. Seller, keep up the good work! Model recommended by friend, tried bread made by this bread maker, nice!!! My 4th set. Bought for family n friends. Gd priced quality equipment. Second time buying from this brand. Bought 2 now. Lots of savings. Can make healthy bread and cake at a quarter of the price as compare to outside. Item received, fast delivery. Have not tested out the machine.’hopefully work well and can last super long. Not happy with purchase. Wish to return for a refund. Items received but I had to go to Philippines Post Office to collect it myself. They don't deliver to homes, very shoddy service after we paid for "home delivery" service and very rudely sms me to self collect in Cebuano (a language I ddon't understand). SingPost should not use a partner like Philippines Post as they are known for 'no service' locally and internationally. I complained to SingPost a few years ago for the same lack of service but SingPost kept denying. 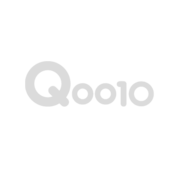 Hope Qoo10 will bring it to SingPost attention or use other Philippines courier companies that delivery to homes. I also buy from Lazada and their local couriers are very good and efficient. Qoo10 will loose more businesses when delivery in Philippines is concerned due to non-delivery service by Philippines Post. For you attention and action to SingPost. The bread maker (4600) doesn’t knead the dough at all. I ended up with a horrible mess. I tried it another times but there is still no kneading. I even switched to the dough mode but the maker just never knead. The paddle can’t even made a full turn when I tried to rotate it to see if it works. What should I do now ? Btw the recipes in the manual is FULL OF ERRORS. May I know the 1 year warranty is covered by which company? Where do I send the item if I require servicing? Hi May i know the country of manufacture for this bread maker? Thanks. What's the duration for quick bread function? Any way to bake raisin bread? like to check if baking menu included? KRISTEN BREAD MARKER KT-203BM 1 Year Warranty !